Fitch's lush, color, view-camera-employed photographs present the findings of a wanderer and self-styled visual detective. 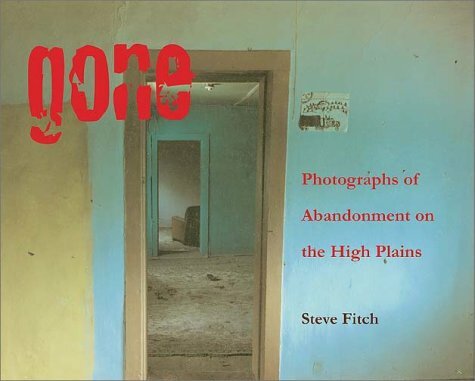 He criss-crossed the Great Plains-from Billings, MT in the north to Lubbock, TX in the south-for ten years, collecting images of homes and businesses whose inhabitants were, simply, gone. The subtitle to this book suggests a theme at once dismal and sinister, but these interiors reveal nothing terrible; the cultural flotsam and jetsam of buoyant optimism in collision with harsh natural and economic reality fills the frames of both these photographs and these now-abandoned buildings. Fitch's photographs speak noisily about various themes: commercialism, the nature of dwelling-places, and mid-century idealism, yet as the absence of people sinks in, the essentially quiet core of this work remains.